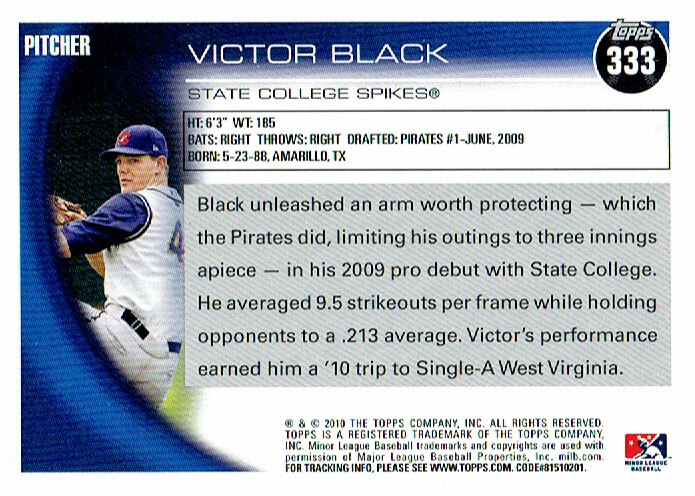 While I was sorting a box of baseball cards this weekend, I ran across a familiar face… Mets reliever Vic Black. Black wasa originally selected by the Pittsburgh Pirates with a supplemental pick at the end of the first round of the 2009 draft. 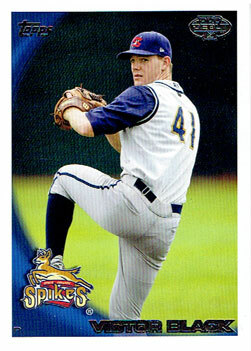 He began his professional career with the State College Spikes in the New York-Penn League that year, so he’s one of a handful of players Topps chose for their inaugural “Pro Debut” minor league set who was actually making his pro debut. Late in 2013, the Mets acquired Black and second baseman Dilson Herrera from the Pirates in exchange for Marlon Byrd and John Buck. Previous Post We have a World Series!